This 1875 map from the HSP.org website shows the Mitcheson property in Spring Garden. I’ve been researching the Mitchesons, my 19th century Philadelphia ancestors, on and off for a couple of years. One of the things that most intrigues me is to find out where they lived. Was it rural, or in the heart of the old town? At the top of a hill, or in an unhealthy swampy area? And how did the area change over time? The best way to find out is to look at old maps. The modern ones help you to get your bearings, but studying historical maps of the areas where our ancestors lived and worked is crucial. They show transportation corridors and distances and indicate population density and land use. 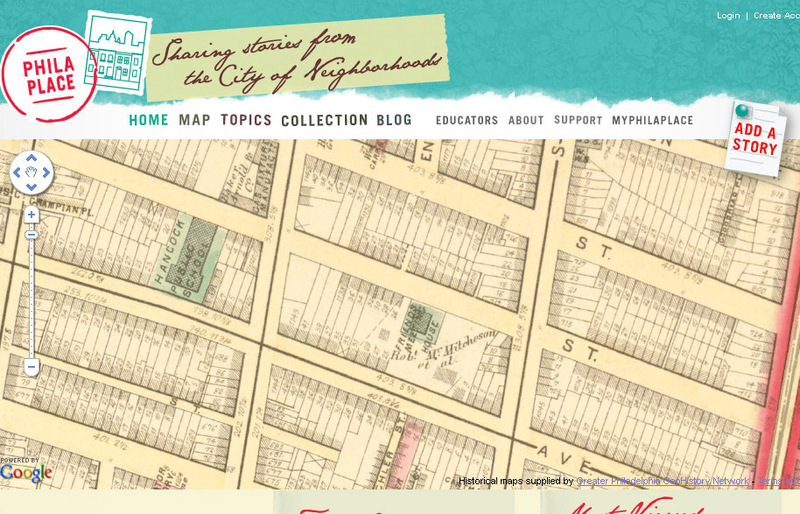 The Greater Philadelphia GeoHistory Network (http://www.philageohistory.org/geohistory/) has an excellent collection of old maps of Philadelphia. Zoom in on Spring Garden (the long, narrow pink section) on the1843 survey map at http://www.philageohistory.org/rdic-images/view-image.cfm/ellet and you’ll find the street grid is in place and the State Penitentiary is located nearby, as is the city’s famous Fairmount waterworks. The Mitchesons were becoming urban residents, and Robert took advantage of it. He built boarding houses on his property that he hoped would provide an ongoing source of income for his children.